A tin model of a highly colourful bus. It is decorated with floral and bird motifs, a picture of The Queen and The Duke of Edinburgh and the flags of the United Kingdom and Pakistan. 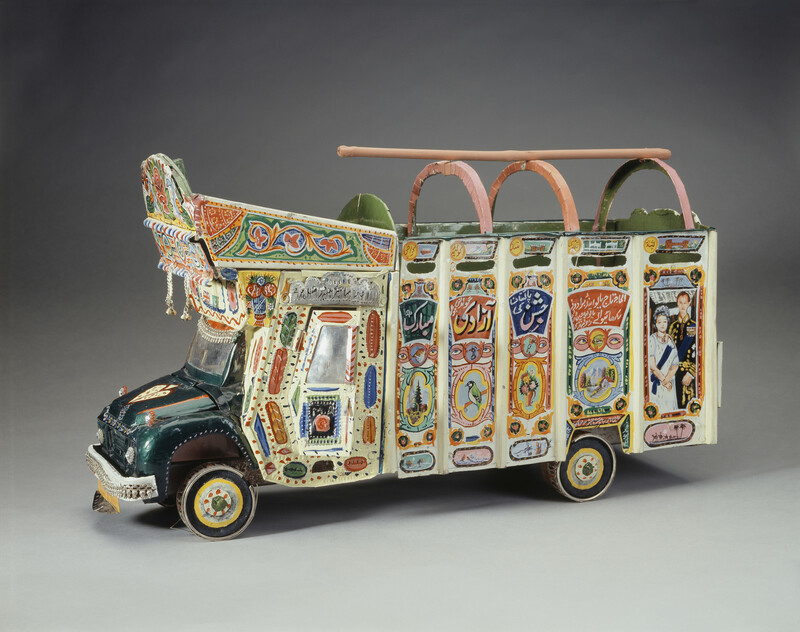 Truck art has developed in Pakistan since the 1940s, combining traditional motifs from Sikhism and Islam with modern pictures and images of national leaders.